Now that percutaneous coronary intervention (PCI) has become an established therapeutic option in multiple patient populations, we find ourselves in a position to improve outcomes and expand into more challenging patient subsets. This issue of Cardiac Interventions Today focuses on several of these applications of PCI technologies. Peter Tajti, MD; Iosif Xenogiannis, MD; Hatem Najar, MD; and Emmanouil S. Brilakis, MD, open our feature coverage with their outlook on managing balloon undilatable chronic total occlussions and offer an appraisal of the available devices and techniques used. Yasuhiro Aoki, MD, and Joseph De Gregorio, MD, then discuss developing the best approach for treating in-stent restenosis and the need to customize therapy for every patient to improve clinical outcomes. Then, Megha Prasad, MD, and Jeffrey W. Moses, MD, examine the improvements made to technique and patient selection for treating chronic total occlusions and comment on some existing controversies. Justin Levisay, MD, reviews the essential needs in creating a successful CHIP (complex higher-risk indicated patients) program, including the need for a true heart team approach, specialized operator training, and institutional support. 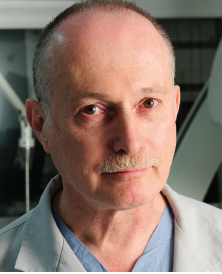 Rounding out our feature coverage, we asked Bernard Chevalier, MD, whether we have reached the minimum with regard to stent strut thickness. He addresses this and other questions by evaluating the role that thin-strut designs have in the current generation of stent technology, the evolution of these concerns, and the clinical impact of strut thickness. In our subfeature on structural disease, Jonathan M. Tobis, MD, and colleagues summarize the lessons learned about the indications for patent foramen ovale closure based on the results of several randomized trails, including CLOSURE I, CLOSE, and RESPECT. Then, Lluis Asmarats, MD, and Josep Rodes-Cabau, MD, outline and discuss existing data on the current and emerging devices for percutaneous left atrial appendage occlusion. Alec Vahanian, MD, and Bernard Iung, MD, provide an update on the use of percutaneous mitral commissurotomy for mitral stenosis in light of the recent 20-year data now available. Elsewhere, in our Technology Update, we asked experts Dean J. Kereiakes, MD; Ron Waksman, MD; James B. Hermiller Jr, MD; and Jarrod D. Frizzell, MD, to address whether bioresorbable scaffolds will ultimately have a role to play in the future. This month’s Coding & Reimbursement article is a Q&A on the potential of ambulatory surgical centers and office-based labs for outpatient cardiology procedures. The discussion addresses why physicians may want to pursue these models, what is needed to achieve these changes, and how these models fit into the existing regulatory landscape. Finally, Adhir Shroff, MD, answers several questions on the TRAnsition for VALUE initiative from the Society for Cardiovascular Angiography and Interventions, as well as advice on optimal radiation protection and making a switch to a radial-first approach. Our objective remains to synthesize the vast interventional literature, so that the deluge of journals does not have to be overwhelming. We look forward to comments on this issue and suggestions for the future.